The Institute for Social Research (ISF) was established in 1950 as an independent foundation in Oslo, Norway. Multidisciplinary in its orientation, it comprises research within all the social sciences and history. The interplay between basic and applied research is reflected in the position of ISF as a contract research institute with high academic ambitions and in its close contact with the other research institutes, national and international universities, the Research Council of Norway, as well as with ministries and private sector agencies. The aim is to produce knowledge and understanding in areas that are significant for society, and to work closely to the cutting edge of international social science. The research at the institute for Social Research is centred around themes as: Civil Society in Transition, Working Life, Gender Equality, Migration, Elections and Democracy, and Political institutions. ISF has about 40 researchers and 100 active projects at any given time; moreover ISF researchers take part in international networks and projects. ISF took on national management of the Johns Hopkins Comparative Nonprofit Sector Research Project, carried out from 2006-2007, and the Norwegian coordination of the Network Council for “Civil Society and New Forms of Governance in Europe” (CINEFOGO), a Network of Excellence supported by EU 6th Framework Program. Main responsibilities: overall management and co-ordination; coordinating elaboration and testing of third sector impact indicators; coordinating integrating findings and assembly of the final report. Additional responsibilities: conzeptualizing and measuring the third sector, stakeholder engagement. • Under what circumstances are active citizenship roles as opposed to narrower consumerist roles likely to occur? • Does it make a difference if the providers belong to the public, private or the nonprofit sector? • Are there differences between welfare services where there is broad party consensus about the need to curb costs, as opposed to services where there is competition about improvement and expansion between the parties? • Do the institutional logics by which welfare service contracts are allocated to providers and expectations coordinated matter, i.e. is there a shift from government to governance? Social media and the new public sphere: consequences for citizenship and democracy (2010-2014) This project examines how new social media such as Facebook, YouTube and Twitter change the conditions for participation and influence in public sphere, and analyses the consequences for citizenship and democracy. Modern technologies enable new social practices by reducing transaction costs related to production and publication of information, and by making new tools for coordination available. 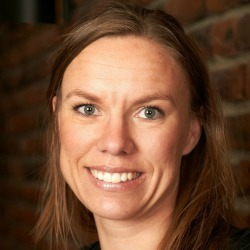 Karl Henrik Sivesind holds a Ph.D. in sociology from the University of Oslo and has been working as Senior Researcher at the Institute for Social Research in Oslo since 2000, since 2004 on professor-level. He serves on the Board of Directors of ISTR (International Society for Third Sector Research). He was Editor in Chief of the leading Norwegian multidisciplinary Journal of Social Science Research for 6 years. He has been involved in several comparative, social scientific research projects. 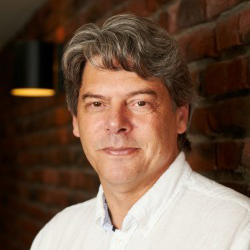 He was the coordinator of the FP6 network CINEFOGO in Norway, and member of the steering committee for the "European Voluntary Associations" network. His research interests include civil society and the voluntary sector, nonprofit welfare services, comparative methods. 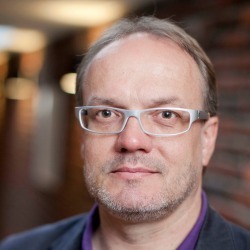 Karl Henrik is lead researcher for Third Sector Impact work area 2 (elaboration and testing of impact indicators). He serves as executive board member together with Annette Zimmer (MU), Lester Salamon (JUH) and Bernard Enjolras (ISF). Sivesind, K. H., & Selle, P. (2009),Does Public Spending "Crowd out" Nonprofit Welfare? Comparative Social Research, 26, 105-134. Sivesind, K. H., & Selle, P. in: R. Alapuro & H. Stenius (Eds.) (2010) Civil society in the Nordic countries: Between displacement and vitality. In: Nordic Associations in a European Perspective (pp. 89–120). Baden-Baden: Nomos Verlagsgesellschaft. Sivesind, K. H., Pospíšilová, T., & Frič, P. (2013) Does Volunteering Cause Trust? A comparison of the Czech Republic and Norway. European Societies: The Official Journal of the European Sociological Association, 15(1), 106-130.